As one of the most flamboyant and influential women of the late 18th century, Georgiana, Duchess of Devonshire was an icon of her time. Born Lady Georgiana Spencer, she married the fifth Duke of Devonshire in 1774. She was thrust into public life at the age of sixteen, unprepared for the pressures that quickly followed and unsupported in a cold and loveless marriage. Though most of her contemporaries adored her because she seemed so natural and vibrant, only a few knew how tormented she was by self-doubt and loneliness. Georgiana was not content to lead the fashionable set nor merely to host soirées for the Whig party, instead she became an adept political campaigner and negotiator, respected by the Whigs and feared by her adversaries. She was the first woman to conduct a modern electoral campaign, going out into the streets to persuade ordinary people to vote for the Whigs. She took advantage of the country’s rapidly expanding newspaper trade to increase the popularity of the Whig party and succeeded in turning herself into a national celebrity. Georgiana was a patron of the arts, a novelist and writer, an amateur scientist and a musician. It was her tragedy that these successes were overshadowed by private and public misfortune. Ambitious for herself and her party, Georgiana was continually frustrated by restrictions imposed on Eighteenth-Century women. She was also a woman who needed to be loved, but the two people whom she loved most – Charles Grey and the Duke of Devonshire’s mistress Lady Elizabeth Foster – proved incapable of reciprocating her feelings in full measure. Georgiana’s unhappiness expressed itself destructively in her addiction to gambling, her early eating disorders, and her deliberate courting of risk. Her battle to overcome her problems was an achievement equal to the triumphs she enjoyed in her public life. Cover painting of The Duchess of Devonshire by Thomas Gainsborough (1727-1788) from the Devonshire Collection, Chatsworth; produced by permission of the Chatsworth Settlement Trustees. 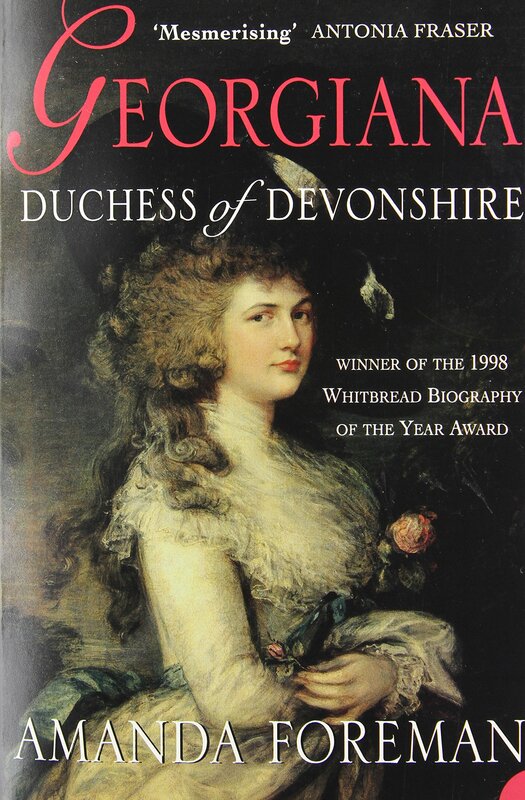 Read the Introduction to Georgiana, Duchess of Devonshire here. Biographers are notorious for falling in love with their subjects. It is the literary equivalent of the “Stockholm Syndrome”, the phenomenon which leads hostages to feel sympathetic towards their captors. The biographer is, in a sense, a willing hostage, held captive for so long that he becomes hopelessly enthralled. There are obvious, intellectual motives which drive a writer to spend years, and sometimes decades, researching the life of a person long vanished, but they often mask a less clear although equally powerful compulsion. Most biographers identify with their subjects. It can be unconscious and no more substantial than a shadow flitting across the page. At other times identification plays so central a role that the work becomes part autobiography as, famously, in Richard Holmes’s Footsteps: Adventures of a Romantic Biographer (1995). In either case, once he commits himself to the task, the writer embarks on a journey that has no obvious route for a destination that is only partly known. He immerses himself in his subject’s life. The recorded impressions of contemporaries are read and re-read; letters, diaries, hastily scribbled notes, even discarded fragments are scrutinized for clues; and yet the truth remains maddeningly elusive. The subject’s own self-deception, mistaken recollections, and the hidden motives of witnesses conspire to make a complete picture impossible to assemble. Finally, it is intuition and a sympathy with the past which supply the last missing pieces. It is no wonder that biographers often confess to dreaming about their subjects. I remember the first time Georgiana appeared to me: I dreamt I switched on the radio and heard her reciting one of her poems. That was the closest she ever came to me; in later dreams she was always a vanishing figure, present but beyond my reach. Such profound bonds have obvious dangers, not least in the disruption they can inflict upon a biographer’s life. Sometimes the work suffers; its integrity becomes jeopardised when, without realising it, a biographer mistakes his own feelings for the subject’s, ascribing characteristics that did not exist and motives that were never there. In his life of Charles James Fox, the Victorian historian George Trevelyan insisted that Fox held to a strict code of morality regarding the sexual conquest of aristocratic women; he only seduced courtesans. Trevelyan, perhaps, had such a code, but Fox did not. There is ample evidence to suggest that the Whig politician had several affairs with married women of quality, including Mrs Crewe and possibly Georgiana, Duchess of Devonshire. Her first biographer, Iris Palmer, was similarly wishful in her description of Georgiana as a ‘simple woman’ without ambition except in her desire to help others. Palmer also claimed, in the face of contrary evidence, that Georgiana was only unfaithful to her husband with one man, Charles Grey. Both biographers illustrate how easy it is to fall prey to the temptation to suppress or ignore unwelcome evidence. Fortunately, the emotional distance required to construct a narrative from an incoherent collection of facts and suppositions provides a powerful counterbalance. By deciding which pieces of the puzzle are the most significant – not always an easy task – and thereby asserting their own interpretation, the biographer achieves a measure of separation. The demands of writing, of style, pace and clarity, also force a writer to be more objective. Numerous decisions have to be made about conflicting evidence, or where to place the correct emphasis between certain events. Having previously dominated the biographer’s waking and sleeping life, the subject gradually diminishes until he or she is contained on the page. I discovered Georgiana in 1993, while researching a doctoral dissertation on English attitudes to race and colour in the late Eighteenth-Century. I was reading a biography of Charles Grey, later Earl Grey, by E.A. Smith, and came across one of her letters. I was already familiar with Georgiana’s career as a political hostess and as the duchess who once campaigned for Charles James Fox, but I had never read any of her writing, and knew little of her character. I was struck by her voice, it was so strong, so clear, honest and open, that she made everything I subsequently read seem dull by comparison. I lost interest in my doctorate, and after six months I had read just one book on Eighteenth-Century racial attitudes. Whenever I did go to the library it was to look for biographies of Georgiana. There have been three previous biographies about her, all of them remarkably similar. Iris Palmer’s The Face without a Frown, written in 1944, was a novelization of Georgiana’s early life. It made no claim to be a historical biography, although Palmer did quote from Georgiana’s letters. The other two, The two Duchesses, by Arthur Calder-Marshall (1978), and Georgiana, by Brian Masters (1981), also concentrated on her early life. Both Calder-Marshall and Masters were probably influenced by the edited selection of Georgiana’s letters,Georgiana, Duchess of Devonshire, published by the Earl of Bessborough in 1955. (It was only much later that I discovered the extent of Lord Bessborough’s editing for myself). None of the books, not even the Bessborough edition of her letters, portrayed the Georgiana whose voice I felt I had heard. Eventually, I realized I would never be satisfied until I had followed the trail to its source. Oxford accepted my explanation and graciously allowed me to start again and begin a new D.Phil. on Georgiana’s life and times. A short while later I decided to write her biography in addition to the doctorate. As Georgiana’s letters are scattered around the country, I planned to be on the road for eighteen months and set off in the summer of 1994, having finally passed my driving test on the seventh attempt. My fears about starting a new project were subsumed by the act of driving on the motorway for the first time. I began my search at Chatsworth in Derbyshire, Georgiana’s home during her married life. Its archives, hidden away inside a subterranean labyrinth of corridors, contain over 1,000 of her letters. They revealed so much of her daily life that it seemed as though I were watching a play from the corner of the stage. The impression of being an invisible, perhaps even an uninvited, spectator remained with me throughout my research. The “Stockholm Syndrome” came upon me suddenly, and I was caught even before I noticed it happening. One day in the Public Record Office at Kew, while reading a vicious letter from one of Georgiana’s rivals, I found myself becoming furious on her behalf. This was the beginning of my obsession with Georgiana, fuelled by frustration at the empty spaces in the Chatsworth archives where someone had either destroyed her letters or censored them with black ink. Itonly began to wane after I had filled in the missing days and months in Georgiana’s life from other sources: the archives at Castle Howard, private collections, the British Library, and libraries and record offices all over Britain. By the time I had consigned Georgiana to the page a different picture of her had emerged. 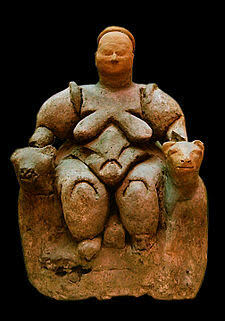 Previous accounts portrayed her as a charismatic but flighty woman; I see her as courageous and vulnerable. Georgiana indeed suffered from the instability which often accompanies intelligent and sensitive characters. She was thrust into public life at the age of sixteen, unprepared for the pressures that quickly followed and unsupported in a cold and loveless marriage. Though most of her contemporaries adored her because she seemed so natural and vibrant, only a few knew how tormented she was by self-doubt and loneliness. Georgiana was not content to lead the fashionable set nor merely to host soirées for the Whig party, instead she became an adept political campaigner and negotiator, respected by the Whigs and feared by her adversaries. She was the first woman to conduct a modern electoral campaign, going out into the streets to persuade ordinary people to vote for the Whigs. She took advantage of the country’s rapidly expanding newspaper trade to increase the popularity of the Whig party and succeeded in turning herself into a national celebrity. Georgiana was a patron of the arts, a novelist and writer, an amateur scientist and a musician. It was her tragedy that these successes were overshadowed by private and public misfortune. Ambitious for herself and her party, Georgiana was continually frustrated by restrictions imposed on Eighteenth-Century women. She was also a woman who needed to be loved, but the two people whom she loved most – Charles Grey and the Duke of Devonshire’s mistress Lady Elizabeth Foster – proved incapable of reciprocating her feelings in full measure. Georgiana’s unhappiness expressed itself destructively in her addiction to gambling, her early eating disorders, and her deliberate courting of risk. Her battle to overcome her problems was an achievement equal to the triumphs she enjoyed in her public life. Georgiana’s relationships with men and women cannot be categorized by Twentieth-Century divisions between what is strictly heterosexual and homosexual. Nor did she think about the rights of women or entertain the same notions of equality that characterize modern feminism. It would be foolish to separate Georgiana from her era and call her a woman before her time; she was distinctly of her time. Yet her successful entry into the male-dominated world of politics, her relationship with the press, her struggle with addiction, and her determination to forge her own identity make her equally relevant to the lives of contemporary women. In writing this book, I hope that her voice is heard once more, by a new generation. Read an extract from Chapter 2: Fashion’s Favourite, pp. 33-37 here. The social tyrants who made up the ton also considered it deeply unfashionable for a wife and husband to be seen too much in each other’s company. The Duke escorted Georgiana to the opera once and then resumed his habit of visiting Brooks’s, where he always ordered the same supper – a broiled blade-bone of mutton and played cards until five or six in the morning.” Occasionally they went to a party together but Georgiana was expected to make her own social arrangements. There was no shortage of invitations and she accepted everything routs, assemblies, card parties, promenades in the park in an effort to avoid sitting alone in Devonshire House. Georgiana as dependent on parental approval as ever felt guilty and went to even greater lengths to distract herself with frivolity. Her recklessness entranced society even as it caused disapproval. Whatever she wore became instantly fashionable. Women’s hair was already arranged high above the head, but Georgiana took the fashion a step further by creating the three-foot hair tower. She stuck pads of horse hair to her own hair using scented pomade and decorated the top with miniature ornaments. Sometimes she carried a ship in full sail, or an exotic arrangement of stuffed birds and waxed fruit, or even a pastoral tableau with little wooden trees and sheep. Even though the towers required the help of at least two hairdressers and took several hours to arrange, Georgiana’s designs inspired others to imitate her. “The Duchess of Devonshire is the most envied woman of the day in the Ton,” the newspapers reported. It was true; women competed with each other to construct the tallest head, ignoring the fact that it made quick movements impossible and the only way to ride in a carriage was to sit on the floor. Another of Georgiana’s innovations was the drooping ostrich feather, which she attached in a wide arch across the front of her hair. In April Lord Stormont, the British ambassador in Paris, presented her with one that was four feet long. Overnight it became the most important accessory in a lady’s wardrobe, even though the tall nodding plumes were difficult to find and extremely expensive. The ton wore them with a smug arrogance which infuriated the less fortunate. The fashion generated resentment: it was too excessive and too exclusive. The Queen banned ostrich feathers from court, and according to Lady Louisa Stuart, the unfortunate feathers were insulted, mobbed, hissed, almost pelted wherever they appeared, abused in the newspapers, nay even preached at in the pulpits and pointed out as marks of reprobation. In less than a year Georgiana had become a celebrity. Newspaper editors noticed that any report on the Duchess of Devonshire increased their sales. She brought glamour and style to a paper. A three-ring circus soon developed between newspapers who saw commercial value in her fame, ordinary readers who were fascinated by her, and Georgiana herself, who enjoyed the attention. The more editors printed stories about her, the more she obliged by playing up to them. Her arrival coincided with the flowering of the English press. A growing population, increased wealth, better roads, and an end to official censorship had resulted in a wider readership and more news to report. By the end of the 1770s there were nine daily newspapers, all based in London, and hundreds of bland triweekly provincial papers which reprinted the London news. For the first time national figures emerged, Georgiana among them, which the whole country read about and discussed, and with whom they could feel some sort of connection. Read Georgiana’s medical file by I. G Schraibman here. Lady Georgiana Spencer (1757 – 1806) was a lovely and much-loved child. She was pretty, intelligent and confident, but at the same time respectful and obedient. In 1774 she married the most eligible bachelor in the land, the fifth Duke of Devonshire. Her family was slightly lower in social status than the Devonshires, but, far from being intimidated, she blossomed, became her own person, and was eventually known and loved not only by those of her own class but by the people of England. She was the fashion icon of her day, the leader of the bon ton, and her raiment was the subject of discussion and imitation in all fashionable circles. She used her intelligence and position to afford considerable support to Charles Fox and the Whigs. Her only known fault was gambling, in which she was joined by most of the aristocracy, including her friend, the Prince of Wales; at one stage, Georgiana was indebted to the tune of £6,000,000 at today’s values! In late July 1796, at the height of her powers and in excellent health, she was stricken with a severe and agonizing illness, which was thought likely to kill her. However, she made a recovery to almost complete normality over the course of many months. She had suffered from “migraine” for years, but about 26 July she was forced to bed by a particularly severe headache. Her right eye swelled to the “size of an apricot”. Dr. Warren, her personal physician, summoned three of the most widely known medical luminaries of the time, including John Gumming, Senior Surgeon to the King. They were flummoxed, but this did not inhibit them from applying increasingly desperate measures; one worthy, in an attempt to increase blood flow to the head to counteract the inflammation, squeezed her neck, almost strangling her! The only effective measure they could supply was laudanum. Her children were dispatched elsewhere so they could not hear their mother’s screams. She went on to praise her daughter’s stoicism, reporting that Georgiana “had prayed most earnestly for a perfect submission to God’s will”. The dominant symptoms of severe headache followed byproptosis, chemosis of the eyelids and loss of vision suggested cavernous sinus thrombosis (CST). Differential diagnosis includes orbital cellulitis, orbital tumor, severe sinusitis and possibly carotid cavernous fistula. Orbital cellulitis does not cause proptosis. An orbital tumor is unlikely because of the almost complete recovery. She was not known to suffer from pre-existing sinus trouble and there is no record of any infective locus in the head and neck. A fistula is possible, as these often thrombose spontaneously, but there is no record of the characteristic pulsating exophthalmos, although this could have been missed. The cavernous sinuses lie on each side of the pituitary fossa, connected by the intercavernous sinuses in front of and behind the pituitary stalk. they are connected to the other dural sinuses and drain into the internal jugular vein. Their extracranial connections are most important because they drain he face in the area supplied by the maxillary and ophthalmic divisions of the trigeminal nerve and communicate with the veins surround the ear via the pterygoid plexus. In the lateral wall of the cavernous sinus run the second, third and fourth cranial nerves and the maxillary division of the fifth; in the centre is the carotid artery, below which is the sixth cranial nerve, supplying the rectus externus. There must have been a lapse in evolutionary design to route the venous drainage of the most bacteria-ridden sites in the head and neck into the cranial cavity. The first symptom is unrelenting headache with vomiting. Proprosis and chemosis appear soon and abducens paralysis is invariably the first neurological sign, followed by ophthalmoplegia and corneal ulceration. If the interior can be visualized, papilloedema, venous congestion and haemorrhages can be seen. Thrombosis of the jugular veins may supervene, if the patient does not perish from septicaemia first. The causative organisms are Staphylococcus aureus, S. haemolyticus and pneumococci. The condition was first reported at postmortem by Duncan in 1821 and in vivo by Vigla in 1839. An estimated 300 cases had been reported by 1918, 350 by 1931 and 40 by 1936. A distinction was made between fulminant and non-fulminant cases, with a better prognosis in the latter. The overall survival was said to be 7% but the range quoted from world literature was 5 – 16%, the majority of reports were under 10%. Fifty-eight recoveries were recorded up to the time of the 1936 review. Only eight cases were recorded in 6,250 general admissions; of these, plus four others, only one survived. Although a relatively rare condition, CST was rightly feared in pre-antibacterial days. Medical students of 50 years ago were warned of the danger of interfering with minor infective lesions in the area of distribution of the maxillary and ophthalmic nerves (the “dangerous area of the face”), and this lesson is still carried in some anatomical texts but no longer in clinical ones. A symposium held at the Royal Society of Medicine, the proceedings of which were published in 1998, on the subject of cerebral thrombosis makes no mention of CST. It is not mentioned in four current textbooks of medicine (Oxford Textbook of Medicine, 1996; Rees and Williams, 1995; Principles of Internal Medicine, 1998; Internal Medicine, 1994). A survey of the Index Medicus throughout its years of publication (1879 – 1999) was carried out; it is very difficult to be precise as to the numbers of references to CST before 1918, but in that year 12 references are found, rising to 38 in 1930 but then falling to 20 in 1942, 14 in 1948, 6 in 1960, and only 1 in 1969; after this there are none at all. The first antibacterial agent, Prontosil, was introduced in 1933, but it was toxic and was soon replaced with safer sulphanilamide, but even in 1940 only 5 of 12 cases were treated with this substance. The first recorded use of sulphanilamide in CST was in 1939 and the first use of penicillin was in 1944. Since then, widespread use of antibiotics in the early stages of infectivity in the head and neck has eliminated CST from the medical lexicon, in parallel with the decline of severe middle-ear disease, mastoiitis and purulent sinusitis. A feared killer has been vanquished. At the age of 35, Georgiana developed a serious and life-threatening condition of her right eye (the left was involved to a lesser degree), which, from the description provided by her mother and the knowledge subsequently accumulated, was most likely to be CST. In view of her survival against long odes, it must have been of the non-infective variety. This disease has disappeared from modern medical experience owing to the availability of antibiotics and their application at the early stage of infective conditions of the head and neck. Acknowledgements: I would like to congratulate and thank Amanda Foreman for her superb biography of Georgiana, which first aroused my interest in this subject. I would like to thank the Trustees of the Chatsworth Settlement for permission to reproduce Figures 1 and 2 and Churchill Livingstone for Figures 3 and 4. Mr. Peter Blore of the Media Centre, Manchester University, exercised his considerable skills to help in producing the illustrations. 1. Foreman A. Georgiana, Duchess of Devonshire. London: Harper Collins, 1998. 2. Lady Margaret Spancer, 1796, paper No. 1357, Chatsworth Collection, courtesy of the Trustees. 3. Duncan, A. Contribution to Morbid Anatomy. Edinburgh, 1821: 17,334. 4. Vigla EN. De la Morse Algue chez l’homme. Theses de l’Ecole de Medecine, Paris, 1839. 5. Smith D. Cavernous sinus thrombosis with notes of five cases. Arch Ophthalmol 1918;47;482-93. 6. Brown, WGS. Cavernous sinus thrombosis. Lancet 1931; 960-5. 7. Grove WE. Septic and aseptic types of cavernous sinus thrombosis. Arch Otolaryngol 1936; 24; 29 – 50. 8. Chisholme JJ, Watkins SS. Twelve cases of thrombosis of the cavernous sinus. Arch Surg 1920; 1; 483 – 512. In the final part of a series examining the political impact of the Georgian era, Amanda Foreman looks at politics on the ground as she considers the structures of British life that created both control and freedom. She asks why Britain experienced political evolution, not revolution. Amanda Foreman examines the formative years of British politics when the most important structures of British life – still valued and recognised today – were established in the shadow of revolution. In its 500-year history, Chatsworth has been home to some notable inhabitants, among them the 5th Duke of Devonshire, his wife, Lady Georgiana Spencer, and Lady Elizabeth Foster, who lived together in a ménage à trois. King Edward VII enjoyed shooting parties on the estate and was often entertained by Duchess Louisa, one of Britain’s foremost political hostesses. Georgiana, Duchess of Devonshire and Lady Georgiana Cavendish, by Joshua Reynolds. John 1st Earl Spencer, by Thomas Gainsborough, c.1763. Georgiana, Countess Spencer, by Pompeo Batoni c.1764. Georgiana was waiting disconsolately in Amsterdam for her parents to return when this portarit was painted. It shows Lady Spencer surrounded by her interests: books, a musical instrument and classical ruins. Painted after she had been with the Devonshires for six years. Fifth Duke of Devonshire, by Pompeo Batoni.